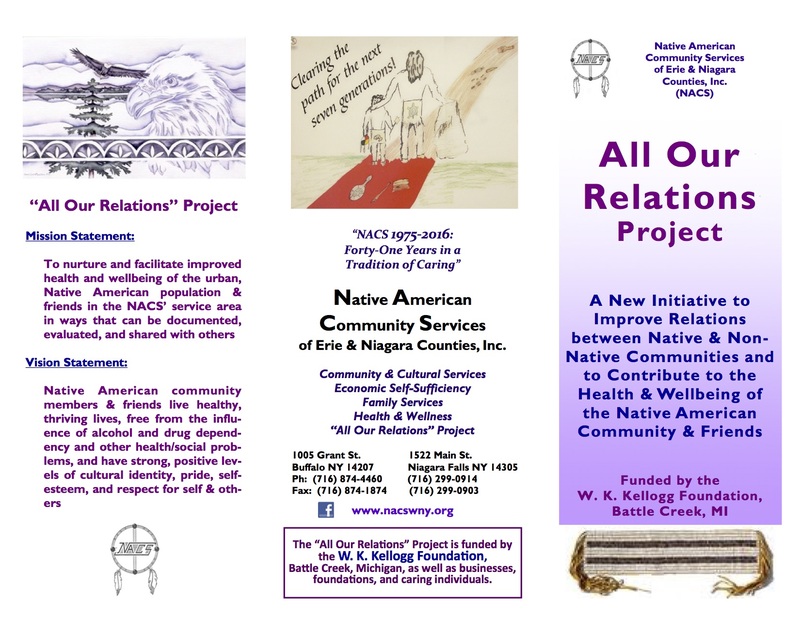 “All Our Relations” Project, A New Initiative to Improve Relations between Native & Non-Native Communities and to Contribute to the Health & Wellbeing of the Native American Community & Friends. The health and wellness of Native American communities have been greatly and negatively impacted by historical traumas and related factors. Many of these issues are not recognized by many Native and Non-Native people. “All Our Relations” is intended to overcome these issues by providing more culturally-grounded programs and services as well as building stronger partnerships with the friends, supporters and providers who work with Native people, families, and communities. All services are provided at no cost to participants.